My children love to hear the stories of the Bible. From the time they were babies in my arms, we would read the stories of the Old and New Testaments to them each night. Now that they are older, the stories have become familiar but each time we read one together they take away something new. 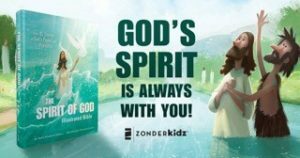 “The Spirit of God Illustrated Bible” shares with them the familiar stories that help them better understand how God’s Spirit is with us every day. “The Spirit of God Illustrated Bible” is a collection of 29 Old Testament and 16 New Testament stories that share how God’s Spirit has been with us since the beginning of time and is still with each of us today. Each story is beautifully illustrated with cartoon-style images that help children visualize each story. The book begins with a “Table of Contents” where you can find a list of each Bible story. This is a great feature for readers who want to find a specific story without having to read through the entire book. Below the title of each story, the author has included information about where in the Bible the story can be found. This is an important piece of information for children, like my daughter, who want to learn more about each story. There is also a Bible Verse to share with your little one before you get into the story. The stories are written for children. Each story is broken up over a few pages. I like how there are just a few paragraphs on each page so new readers are not intimidated by too much text. The stories themselves have me perplexed. I feel that some key points are missing from some of the stories. For example, in the story of the creation, it ends with Adam and Eve walking in the Garden with God and then jumps right to Noah and the Ark. The original sin is never mentioned at all. The same holds true for the story of the Crucifixion. The Bible verse does explain why He suffered on the cross, but the story itself seems to miss that point. That being said, the intention of the book is to show how the Holy Spirit is working in the world and the story does share that beautifully. The book is unlike other Bible story books that I have shared with my children. We don’t often focus on how the Holy Spirit has worked in the lives of his people. It shares a new perspective on these stories and will encourage my children to look more into their faith. 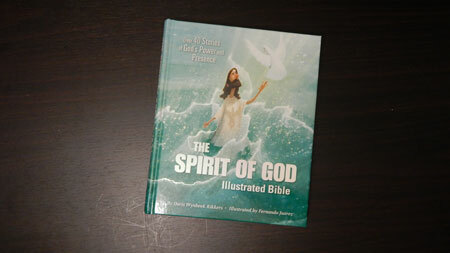 “The Spirit of God Illustrated Bible” is a great addition to your collection of Bible storybooks. I would recommend that you keep your Bible on hand with you as you read it together with your child. Check it out on Zondervan to learn more and view a free sampler. 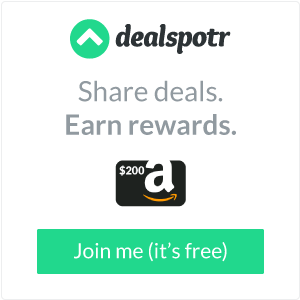 “Disclosure (in accordance with the FTC’s 16 CFR, Part 255: “Guides Concerning the Use of Endorsements and Testimonials in Advertising”): I did receive a sample of the product in exchange for this review and post from Propeller Consulting, LLC. All opinions are 100% my own and NOT influenced by monetary compensation.